(Louisville, KY) A full slate of other business accomplishments have accompanied the revamped ownership and financial structure of Fenley Real Estate this year. In June, the company opened its second set of executive office suites on the first floor of its Fenley Office Park II building on U.S. 42. The development is the second of that type for Fenley, which also operates executive office suites at its Corporate Campus complex in the Hurstbourne Green business park. In July, Fenley teamed with Musselman Hotels LLC to open the 136-room Hilton Garden Inn Louisville/Northeast near The Summit shopping center in Fenley's Olympia Park Plaza development. The hotel opening marked the second time Fenley and Musselman have worked together on a project. 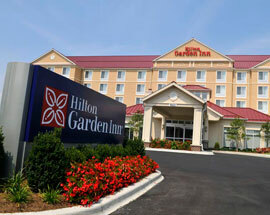 The companies also developed the 150-room Embassy Suites Hotel that opened in 2002 in Hurstbourne Green. Earlier this year, Fenley Real Estate president and CEO David Fenley also started two freestanding companies that serve much of his 13-building Class A Louisville office portfolio. Onsite Janitorial LLC provides housekeeping and light maintenance services to many of the buildings, Fenley said. 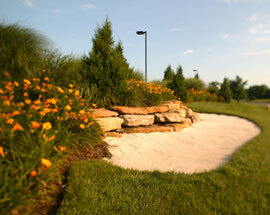 And GM Building Services LLC handles landscaping, snow removal, grounds maintenance and other upkeep chores. The moves are part of a series of cost-cutting steps that Fenley has taken since acquiring majority ownership of the company. By bringing such services in house, Fenley said, he has been able to eliminate expensive contracts with outside companies, many of which have raised prices to address rising gas and materials costs.